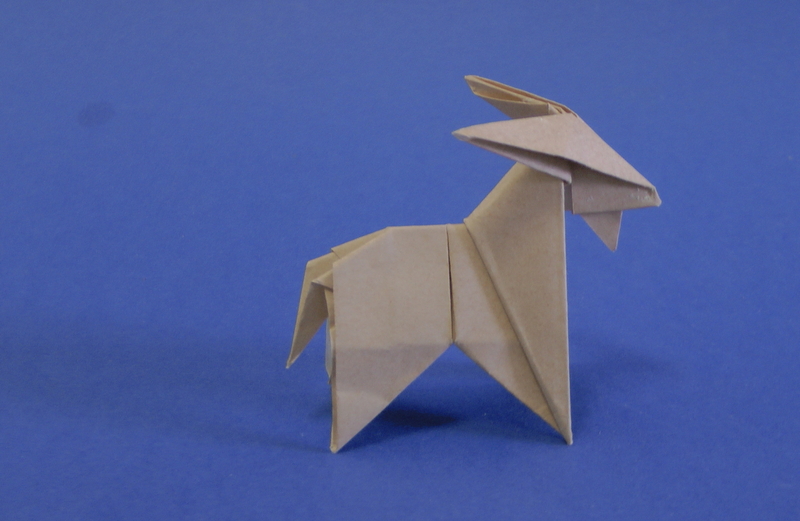 follow the easy Video instructions to make your own Origami Goat with just one sheet of paper. No cuts, no glue needed! the Origami Goat has been designed by Peterpaul Forcher. It’s difficulty is low intermediate. 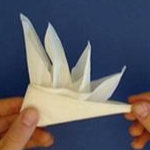 It makes a good challenge for people that already fold models like the Origami Crane with ease. Any kind of origami paper can be user to fold this Goat. You need to divide the sheet into thirds, so either you need tools like a ruler, or have a similar way of doing division in the paper. In the tutorial video, one “pure origami Way” to do this is demonstrated. Peterpaul Forcher worked as a Teacher of Mathematics in Lienz, Austria. He was an early and active Member of the German Origami association „Origami Deutschland e.V.“ . His Origami Models almost always have a clear geometric construction. His later work, which consisted of collages, gained him recognition as a serious artist. Many exhibitions followed. The “masters of origami” exhibition in Salzburg, Austria being the biggest. Most of his models remain undocumented or unpublished, a small collection of diagrams can be found at the homepage of Carmen Sprung He died on the 28th of May in 2006 aged almost 60 years. During the holidays there were a few tables to decorate. I stumbled upon the fact that I can not really do any neat napkinfolds. I decided to change that and looked at one website or another and discovered the bird of paradise. My favourite napkinfold so far. Folding napkin differs quite a bit from paperfolding and there are interesting things that napkins can do which paper can’t. I’m always happy to find knew areas of folding. Below you find the tutrial I mad efor the bird of paradise. enjoy!